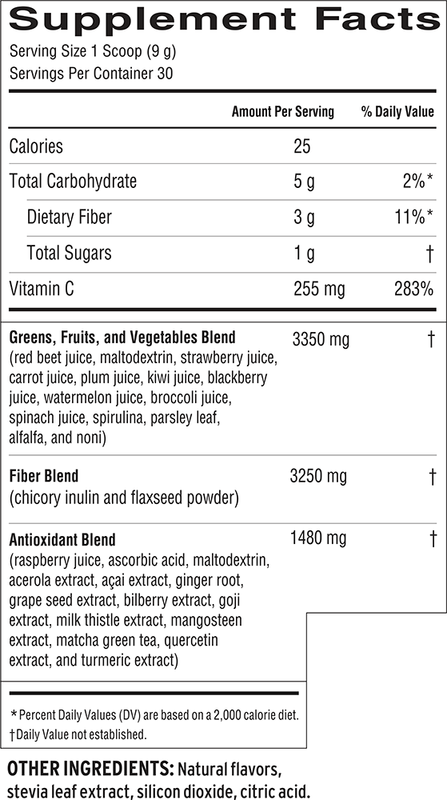 Product description: Getting your daily fruits and vegetables has never been easier. Did you know only 1 in 10 Americans eats enough greens? * Greens are fundamental for energy and detoxification, and provide you with powerful vitamins, minerals and antioxidants. 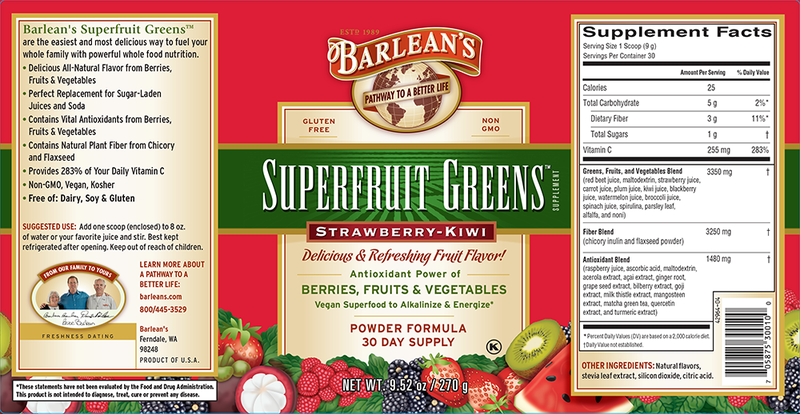 If you like the healthy antioxidants and great taste of bright fruit, veggies and berries, Barlean’s Superfruit Greens™ is the one for you. A favorite of kids and athletes, this delicious formula mixes easily in water, juice or yogurt. *Dubost, Joy, Latetia mOore, and Jordana Turkel. Morbidity and Mortality Weekly Report. U.S. Center for Disease Control and Prevention, July 2015.